Giving your pet medication probably won’t be one of the highlights of your relationship. The best-case scenario is when you can hide the pill in a treat and they never even notice it. However, for many owners, the best-case scenario seems to occur much more infrequently than the more unpleasant alternative. “How to give your cat a pill in 20 easy steps” is a top Google hit. No matter where you and your pet stand on the medication administration ladder of success, there are vital things you as an owner need to know about medication and giving them to your pet. First, let’s talk about the types of medications you may see and how they are administered. These are the most commonly prescribed types of medications and can range from antibiotics to pain medications. There are a few key things to remember about pills or capsules. First, with few exceptions, they should not be cut, crushed or dissolved. The coatings on pills and capsules are designed to wear off in your pet’s digestive system and let the medication out in the area that it will be absorbed best. Cutting or removing the coating will cause the medication to be released too early, and it will not work as it is intended to. Second, giving medicine “twice a day” doesn’t mean “two times whenever you remember.” Timing on medication is vital; doses are spaced to keep the medication level in your pet’s blood high enough to kill the infection or ease the pain but low enough to not have toxic effects. So giving medicine twice a day means every 12 hours, three times a day means every eight hours, and so on. Properly curing an infection or controlling pain depends on timing, and timing depends on you. Third, every animal reacts differently to taking medications. Ask your veterinarian or technician to demonstrate giving the first dose and walk you through the steps until you are comfortable handling and giving medication. Many times hiding it in cheese or peanut butter will be fine. Other times you will need to directly put the medication in your pet’s mouth. Finally, really read the prescription directions. Make note of whether you need to give the medication with or without food or if you need to separate it from other medications. While these directions seem like they only exist to make your life more difficult, they actually have a tremendous impact on whether the medication works as it should. Oral liquids are more commonly prescribed to smaller pets like puppies and kittens. Just as with pills and capsules, have a staff member at your veterinary clinic demonstrate the best way to medicate your pet. In my job at a veterinary clinic, I loved helping owners learn to handle their pets safely and correctly; it was a rewarding part of the job. Two other key concerns apply to liquid medications. First, does it need to be refrigerated? Many liquid medications do, and leaving them out on the counter lowers their effectiveness. Second, is it a solution or suspension? Solutions need very little mixing before administering because the parts of the medication stay together well. Think of Kool-Aid; once it is mixed, it doesn’t separate back into water, sugar and powder. Suspensions are different in that they do separate after sitting for a while. Think of oil and vinegar dressing; after sitting, the oil and vinegar separate clearly. Suspension medications will need to be mixed thoroughly before administering. Roll the bottle vigorously between your palms for at least 30 seconds, trying to avoid shaking and filling it with air bubbles. Finally, liquid medications are usually administered using a syringe or dropper. Make sure your veterinary clinic staff helps you understand exactly how to use the syringe or dropper and how to measure the correct dosage. 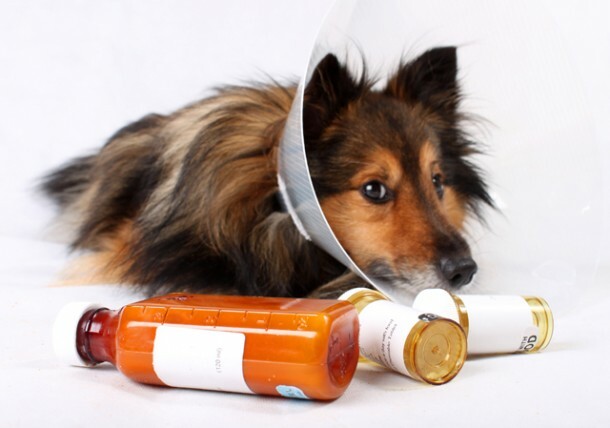 Topical medications are among the more simple medications for pet owners to use. The hardest part is to keep your pet from licking the medication off! There are only a couple of options to help with this. One is to apply the medication immediately before feeding your pet. The food should distract your pet long enough for the medication to be effective. The second option is the ever-popular Elizabethan Collar (or “cone of shame”), a plastic lampshade-like object that goes around your pet’s neck and extends past their muzzle to prevent them from licking off the medication. While it is hard to deny the puppy eyes that beg for it to be removed, in many cases it is a necessity. Fortunately, the cones go on and off easily, and it is fairly easy for your pet to eat and drink with them on (the key to this is that the bowls must be smaller than the cone). These medications are injections (also called “shots”). The most common medications in this category are insulin (for diabetes) and allergy medications. Administering injections to your pet will require some time and training with your veterinary clinic staff and can be intimidating. On a good note, in 10 years as a clinic staff member, I have yet to see a client fail to master giving injections properly to their pet. Always give the whole prescription. It’s tempting to save a few of those antibiotics or pain pills once a pet is feeling better, but not finishing a prescription can hurt your pet. In those cases, another round of medication often will be needed because the incomplete first round failed to cure the problem. 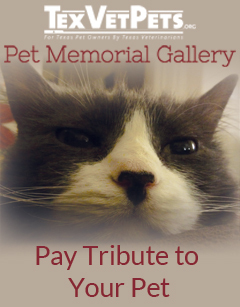 Always tell your veterinarian what other medications you are giving your pet. This includes any vitamin, herbal or alternative supplements. They can all interact with prescription medications and potentially harm the animal. Keep your follow-up appointment. 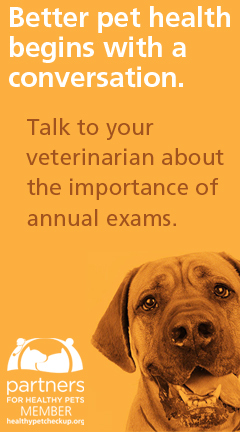 Schedule a follow-up exam for before your pet’s prescription runs out. If the problem hasn’t cleared up, you may need another round of medication or a different kind of medication. Medication administration can be a real challenge for both pets and owners. Love, patience, determination and proper education can help you succeed!